How to find the Created and Last Modified time in Microsoft Excel ? 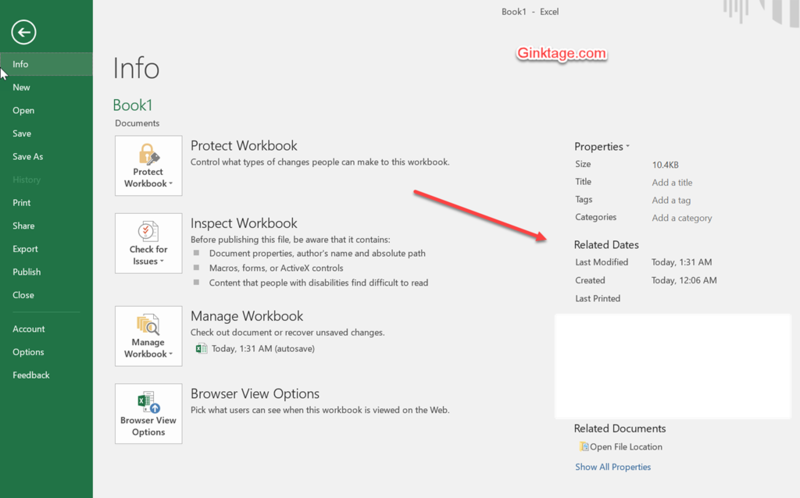 You can easily find out the exact date and time when the excel workbook was created and modified using the Info Command in Microsoft Excel 2016. Select File -> Info from Excel Ribbon which should display the Related Dates information in the Backstage View as shown in the screenshot. These includes the Last Modified , Created and Last Printed.